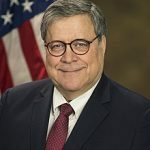 The Department of Justice (DOJ) under new Attorney General William Barr has changed course and is now calling on the 5th U.S. Circuit Court of Appeals to strike down in its entirety the Affordable Care Act (ACA, or Obamacare). This is in opposition to its previous position, which argued only for the unconstitutionality of the ACA’s individual mandate and its pre-existing conditions clause. The appeals court is reviewing the decision rendered by U.S. District Judge Reed O’Connor on Dec. 14 that the entire law is unconstitutional. The filing of the motion yesterday by the Justice Department came just hours after 21 attorneys general from Blue States presented arguments in favor of the ACA. Judge O’Connor’s ruling came after Republicans zeroed out the tax penalty for not having health insurance, which the judge claimed not only invalidated the individual mandate but the rest of the ACA as well, ruling the legislation unconstitutional. No date has been set for full courtroom arguments, but July has been rumored as the earliest opportunity. In the interim, the ACA will remain fully functional following a ruling by Judge O’Connor to keep his injunction in abeyance pending the appeals process. In announcing the final tally for enrollment in Obamacare plans for 2019 through the exchanges, the Centers for Medicare and Medicaid Services (CMS) today also announced that health insurance plans that are not compliant with all new mandates but were “grandmothered” in 2014 are being given another year of non-compliant, grandfather status. CMS today released the Health Insurance Exchanges 2019 Open Enrollment Report. With the Trump Administration’s focus on making healthcare more affordable, the report confirmswhat it calls another successful open enrollment period coinciding with a stabilization of premiums after years of substantial increases. Specifically, the report shows plan selections in Exchange plans in the 50 states and D.C. remained steady at 11.4 million. This represents a minimal decline of around 300,000 plan selections from the same time last year. Also, as outlined in the report, average total premiums for plans selected through HealthCare.gov dropped by 1.5 percent from the prior year, the first decline since the exchanges began operations in 2014. 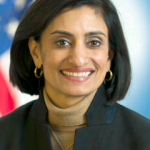 In addition to this report, as part of the administration’s commitment to ensure access to affordable coverage options, CMS is also issuing guidance extending for one additional year, the non-enforcement policy to allow issuers to continue certain health plans, often referred to as “grandmothered” plans, which do not meet all the many mandates and restrictions in the Patient Protection and Affordable Care Act (PPACA). According to CMS, these plans can be more affordable for people who choose to renew coverage with them. Extending these grandmothered policies will allow consumers to maintain more affordable coverage than they would have access to through PPACA plans. It was a Saturday in New York City 108 years ago today — March 25 — when fire engulfed by Triangle Shirtwaist Factory, leaving 146 workers dead, some as young as 13. The factory employed mostly young immigrant women sewing garments in harsh conditions with scant pay to show for it. The fire started toward the end of the work day, beginning in a rag bin and spreading rapidly through the three top floors of the of the 10-story Asch Building, which housed the sweatshop. Some women made it to the external fire escape, but it collapsed from the weight and plunged the women to the street below. The owners had locked the doors to prevent theft, so the only other way out was by jumping from a window — to one’s death. 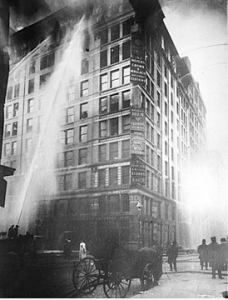 Worse, fire equipment in those days could reach only seven stories up despite the number of skyscrapers in the city, and sprinkler systems were not mandatory. In fact, fire codes were nonexistent. New Jersey has opted to leave the Affordable Care Act (ACA, or Obamacare) federal exchange at HealthCare.gov and create its own online portal for the start of the 2021 health insurance open enrollment period. 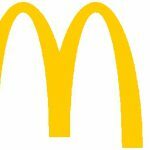 “A New Jersey exchange will be a strong measure of independence at a time when the federal administration continues to undermine and weaken the federal marketplace,” Gov. Phil Murphy said during a news conference at St. Barnabas Medical Center in Livingston. The governor, a Democrat, said he had already sent a notice of intent to the Department of Health and Human Services (HHS). Having their own exchange would ensure that New Jersey residents would find health care in the state “more accessible, accountable and more responsive,” he explained. 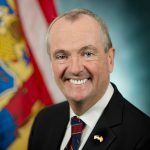 Since taking office in 2018, Murphy has been instrumental in having the state enact its own individual mandate — have insurance or pay a fine — and in setting up a reinsurance program to help cover the costs borne by the state’s high-risk residents. Both moves are credited with a 9 percent drop in the average price for health care plans sold on the state’s individual market this year.